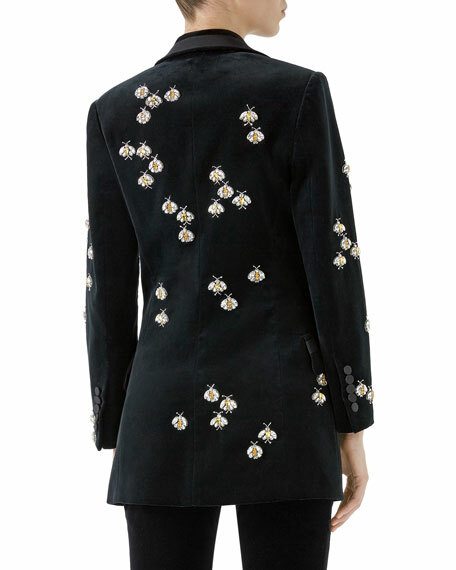 Matte stretch-velvet blazer with allover jeweled bee embellishments. Peak lapels; single-breasted, one-button front. For in-store inquiries, use sku #2585370. 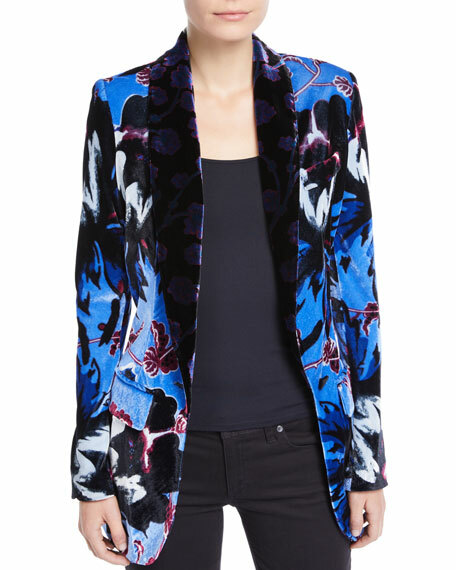 Diane von Furstenberg "Tommy" velvet blazer in floral-print. Shawl collar; single-button front. Long sleeves. Chest welt pocket. Front flap pockets. Tailored fit. Hip length. Viscose/nylon. Polyester/spandex lining. Imported. 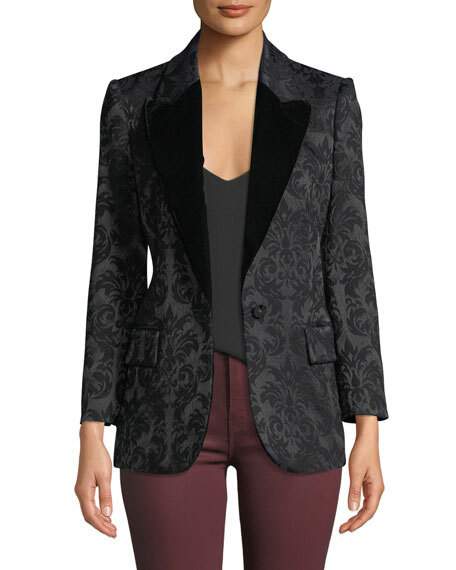 L'Agence "Chamberlain" tailored velvet blazer. Approx. 27"L from shoulder to hem. Peaked lapels; one-button front. Angled flap pockets at hip. Long sleeves with split cuffs. Back vent. Viscose/silk velvet. Polyester/spandex lining. Dry clean. Imported. 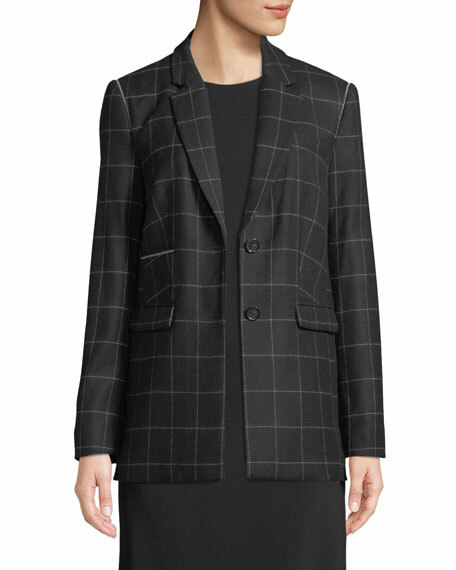 L'Agence "Neval" jacquard blazer with contrast velvet lapels. Approx. 28.3"L from shoulder to hem. 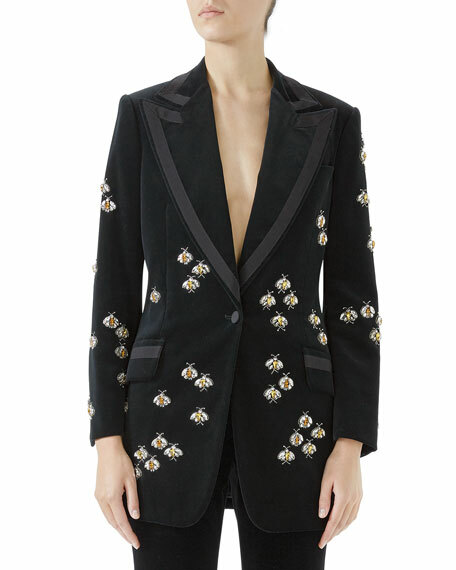 Peak lapels; single-button front. Long sleeves; button cuffs. Flap pockets at hips. Tailored silhouette. Vented back hem. Nylon/wool/spandex. Polyester lining. Dry clean. Made in Italy.